The over-functioning parent emerges when parenthood is perceived as an “achievement” and we blur the lines between our own life outcomes and those of our children. I know this because I speak from experience. My sons are grown, and I remember very much the performance anxiety of being a good parent in the early years. In my mind, the achievements and conduct of my children were a direct reflection of me and there was great danger of becoming controlling and manipulative about the things that belonged to my children – such as matters related to their friendships, academic pursuits, etc. It was my husband who helped me appreciate that our children have to “own it” when it comes to their conduct, pursuits and accomplishments. So this understanding that our children’s lives are their own domain with inherent authority (free will) is rooted in Biblical wisdom abandoned by the modern parenting culture. Rather than how to think correctly, exercise self discipline and demonstrate behavior as good citizens, we have a tendency to focus on feelings and achievement which do not strengthen character to withstand the pressures of life hyped in a cyber-powered world. In this regard, over-functioning parents are unable to separate their own lives from the lives of their children. Their anxieties and worries for ensuring that their children lead successful and happy lives become translated as controlling and manipulative behaviors, sometimes described as “helicopter parenting,” which is a misguided attempt to help. The things they do include: doing things for children that they can do for themselves; interfering and refereeing friendships and relationships; paying for everything and not expecting the child to experience earning, saving and spending according to their own priorities. And of course we will not always agree with our children’s decisions nor understand or desire the choices they make. 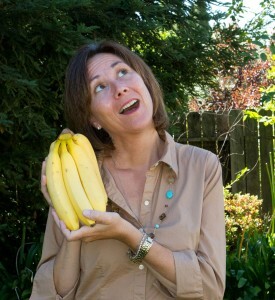 In fact, the term ‘Banana Moments” is a name I have given my journalism about the new demands on parents in the network culture, because in this cyber-powered environment we are all navigating, for certain children will be surprising us in ways that are full of wonder, joy and perhaps some pain. 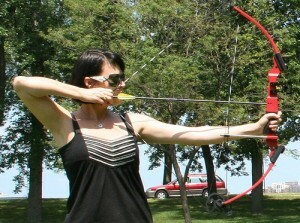 That is the part of motherhood I call “bait and switch” – with a wink and a nod. Our children are born to us so vulnerable and dependent and then we quickly learn that they have their own operating systems of heart and mind. As they grow it becomes clear the less control we have over their social environment and conduct. The older they get, the more they need to be able to think for themselves and stick to a course of thought and action that will keep them secure. To help clarify this distinction between the functioning and over-functioning parent, below are some highlights of the over-functioning parent who engages in non-custodial override of the child’s domain. The examples below are classified as “non-custodial” in that they are not within the boundaries of the legitimate authority of a parent to instill discipline and provide protective cover. Doing for your child the things she can do for herself. Early age examples such as tying shoes, choosing outfits, homework, talking to teachers and others with whom they are having difficulty. Later in life, over functioning parents are choosing classes, micro-managing the details of every important projects, monitoring the on-line grades as if it was their own college and career future at stake. After a while, over-functioning parenting unchecked, the life of a child is crowded and overshadowed by another entity, the parent. It stops being the child’s life and the responsibility for that life may be surrendered by the child to the parent. This is a tremendous authority boundary violation that disables the child from having her own dreams and pursuits in life. The signal it gives the child is that you do not have confidence in his ability to figure things out and learn and recover from mistakes. Hyper focus on the importance of achievement oriented outcomes, such as getting good grades, making the squad or team, and getting into certain universities. There is a lot published about the problem of “over achievement” culture. (See Race to Nowhere). And five minute conversations with adolescents reveal tremendous pressure to “be what my parents want me to be”, and “do what they want me to do”. We need to ask ourselves, what does it mean when we are living for the desires of another person? 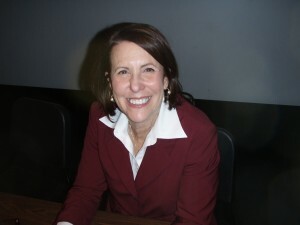 Madeline Levine spoke at an assembly of parents at Davis High School on February 8, 2013. Last Friday evening, I attended a talk by Madeline Levine, author of The Price of Privilege and Teach Your Children Well, at Davis High School in Davis, sponsored by Parent University (a Davis community cooperative). Levine cautions parents to be careful about putting our issues onto our children, especially when it pertains to their choices for education and career. Levine describes the children in her office stressing out over getting B’s instead of A’s, and children five years and younger saying they want to go to Harvard. Inappropriate praise. When we offer praise for achievements, the message the children get is that they can find acceptance only through achievement. Acknowledging achievement in a way that says this must be satisfying for YOU the child, (not for ME the parent) is more helpful. Rather offer praise for level of effort and progress to encourage your child to persevere in the face of disappointment, failure or set backs. Consider what you are trying to accomplish with praise. Bronson and Merryman point out that liberal use of praise is often more for the parent benefit than for the child. It makes the parent feel better by offering praise as a way of saying “I love you and believe in you” when we really mean, “I have performance expectations of you.” This use of praise does not allow the child to determine for herself that she is capable or smart. Her intelligence becomes validated by an external source tied to a performance expectation, rather than her own internal assessment and could impact her motivation to solve problems or tackle tough assignments . Making excuses for children’s poor choices and anti-social conduct. Ask any preschool or kindergarten teacher and they will tell you children are not coming to school socialized for learning. They are unable to focus outside their own immediate desires. Biting, hitting, disruptive behavior is more common. Following direction is difficult. Teaching virtues, such as compassion, kindness, respect for self and others, is something early childhood teachers have to provide in order to begin instructing – often without the support from parents at home. Custodial authority involves matters of protective cover for the minor child and your home. Things having to do with the safety of a child, setting age appropriate limits for bed time, use of mobile apps, time spent with others away from home, homework time, and diet, etc. are all a part of the parental authority of instilling discipline in the first decade of life. House rules that define individual responsibility and accountability. Give the children what they need to be able to think for themselves and act according to your family values. House rules are a tremendous way to clarify your values and bond with children in ways that are edifying, not oppressive. This is the nature of discipline expressed as God’s love, which always respects free will. 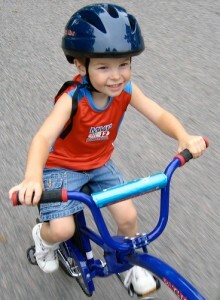 There is a confidence in the child’s own capacity to ride their bike in life. Discipline involves compassion. Discipline is not the same thing as punishment. I appreciate the explanation of “the rod” by John Rosemond in his book, Parenting by the Book: Biblical Wisdom for Raising Your Child (2007). He describes the “rod” as a standard of conduct which has been misconstrued to mean an implement of corporal punishment. Discipline is instructive and liberating for living an abundant life. It is love language that involves consequences that can at times be punishing, but always with redemptive value. What we parents “own” is the responsibility to provide consistent discipline – often providing it without any “thanks!” and a lot of grumbling and hateful stares, but mostly we do it because it is the right thing to do, serving the highest and best interest of the child. During the most challenging moments as my children matured and the stakes were higher, I found myself reconciling my desire to please my child in the moment (because it would make me feel good) to expressing discipline as love language from God even though it may be painful in the moment. In those difficult moments, imagine yourself running aside your child riding a bike and holding on to the handle bars for fear that they are incapable of balancing themselves; and your child is trying to pick up speed but cannot take off because you are holding on. It is not very functional for either of you, is it? Posted in Anxiety, Boundaries, Faith, Family, God's love, Overprotection, Parent-child relationship, Parental Authority, Parenting, Social Media, Teenagers, Texting.